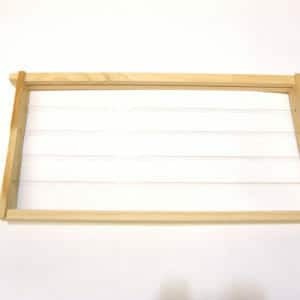 Regular duty stainless steel Queen excluder for 8 frame Langstroth beehive. Upgrade from plastic, long lasting, set and forget. Upgrade from plastic Queen excluders and minimise replacements. These Queen excluders are stainless steel (not galvanised wire). They are long lasting and very low maintenance. A stainless steel Queen excluder is the choice of large scale professional beekeepers and small operators alike. These will not pull apart like plastic Queen excluders and are easy to clean.